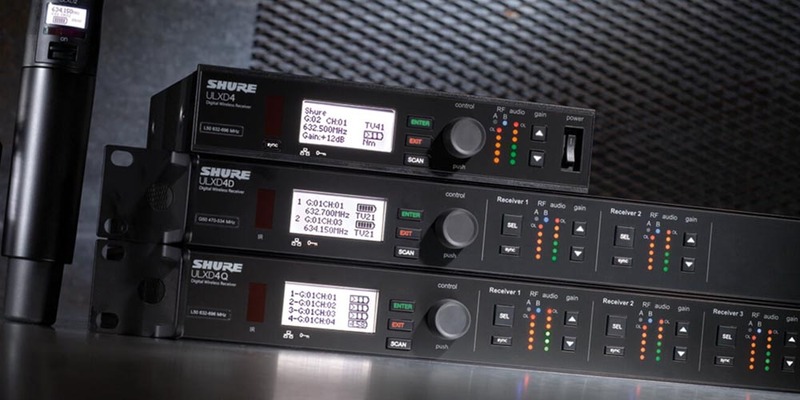 If you need to replace wireless microphones or personal monitor systems that operate in the 600 MHz band as a result of the FCC Incentive Auction, the Shure 600 MHz Wireless Rebate can help you save money. Here are answers to the top 10 questions we've received about the rebate. For complete rebate offer details, please visit the Terms & Conditions page of the rebate site. 1) When I send in a 600 MHz system for the rebate, can I keep the microphone cartridge? Yes. To be eligible for the rebate, you do not have to send us the removable microphone cartridges (for example, the SM58® "head" on a handheld transmitter), lavalier microphones, or headworn microphones in your wireless systems. 2) If I return one receiver with two transmitters (for example, one bodypack and one handheld), does this count as one channel or two? It depends on the number of channels your receiver includes. If your system includes a single-channel receiver, then one receiver plus any number of transmitters counts as only one channel. If your system includes a multi-channel receiver, and you pair each of your two transmitters with a receiver channel, then it counts as two channels. 3) If I send in a wireless mic transmitter and receiver that operate in the 600 MHz band, can I purchase a PSM system and be eligible for the rebate? Yes. You also could send in a PSM transmitter and receiver that operate in the 600 MHz band and purchase an eligible wireless microphone transmitter and receiver. 4) How does the rebate work if I send in a ULX® Standard system and purchase a ULX-D® system? The rebate amount is based on the system purchased, not the system returned. For example, if you purchased a new ULX-D system with a single-channel receiver, then you would be eligible for a $250 rebate regardless of what type of wireless system you returned. 5) If I purchase a UHF-R® system, do I qualify for the rebate? No. Purchases of UHF-R systems are not eligible for the rebate. 6) Can I return wireless systems that operate in the 700 MHz band? No. You can return only wireless microphone and personal monitor systems designed and enabled to operate on frequencies 616–653 MHz inclusive or 663–698 MHz inclusive (the "600 MHz Band"). 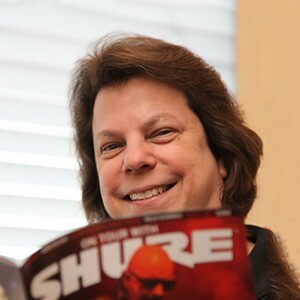 To view Eligible Trade-In Products and Eligible Shure Products, please visit wirelessrebate.shure.com. 7) How long will it take to receive the rebate? It will take 8–10 weeks from the date Shure receives your returned product and new Shure product package labels. 8) Will the rebate program be extended? The rebate period began April 17, 2017, and ends October 31, 2018. We think that one year is sufficient for users to determine whether their current equipment is affected by the auction and purchase new equipment. 9) Are Canadian customers who choose to replace their wireless systems eligible for the rebate? No. This rebate offer is for US customers only. Customers must purchase their replacement products from Shure-authorized dealers in the United States. Please refer to wirelessrebate.shure.com/terms for more information. 10) What will happen to all the wireless systems returned during the rebate? Do you just dump them in a landfill? No. We send returned products to an electronics recycling facility that shreds and separates them into streams of metal, plastic, and glass, which are then recycled.